Recently, I had a chance to do something I’ve been putting off for ages. There’s this friend of mine in the UK whose son is now 6 years old, and I’ve been meaning to send him a gift for the longest time. At first, I thought I’d wait for them to visit here, but it didn’t seem to be happening. Sending money didn’t seem a good option either. When another friend was going to the UK and was meeting up with this little boy and his parents, I saw a good opportunity. It wasn’t fair to buy something here and load my friend with carrying it. Instead I gave him some money and asked him to buy the little chap a gift. He smartly decided that he would visit the family first, check out what the little boy had and then make a purchase. To make things easier, I did a little research on what he could get and sent it off to him. Today, I thought I’d share this research with you. When you’re buying toys for a child in the UK, you have to weigh up so many things. What are they into? Will they use it? Do the circumstances allow them to use it — for instance, the weather is so changeable there you have to consider carefully if you’re going to buy an outdoor toy! Here’s a smattering of suggestions to put a smile on a child’s face with your gift. If ever there’s a toy that all kids should have in their life, it has to be LEGO®, whether it’s a Star Wars kit or even just a bucket of simple creative bricks. 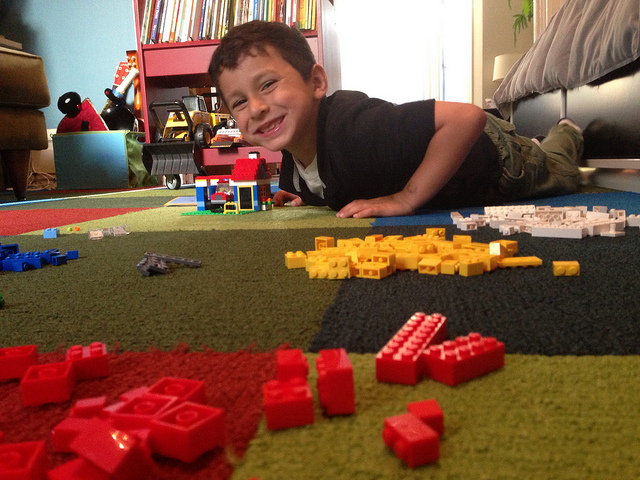 Fostering creativity and providing infinite hours of play, LEGO® toys are the perfect gift. You can also wow your kids with your skills with the bricks (you know you want to!). We’re veering back towards Star Wars again with this one, but it’s just that they’re the ultimate action figure… well, almost, with the exception of Action Man! Of course, your little ones don’t have to recreate a war across the galaxies, fun as that may be. Toy figures like the Mighty Morphin Power Rangers, Teenage Mutant Ninja Turtles and the Marvel superheroes allow kids to recreate other fantasy worlds. They all want to be the hero! Of course, kids can sometimes get bored of playing by themselves, so make sure you have a game or two in the house. Operation Game is a classic and a favourite — the kids will laugh at the patient’s nose going red! Alternatively, you might try a Mr Frosty game, which gives you and the kids chance to make your own ice crunchies. Delicious! It’s good to get children into a healthy way of living early on. When the sun’s out, that’s an ideal time to encourage them to take some form of fun exercise. A trampoline is just the ticket. If they’re just young, you can go for a trampoline with a handlebar on the side, so they can hold on and bounce away safely to their heart’s content. 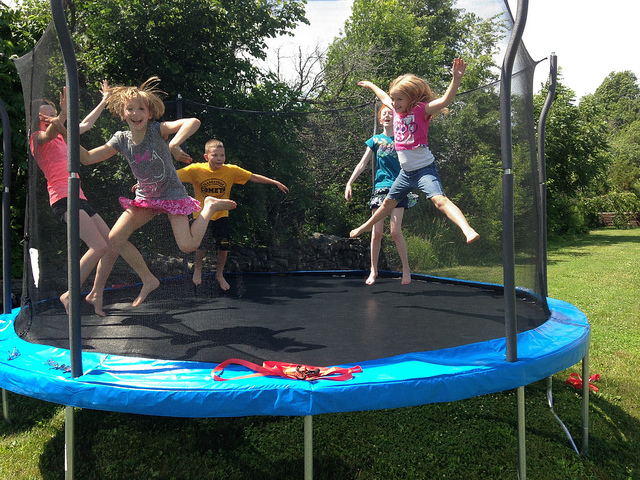 If they’re older you can buy a larger trampoline with an enclosure so they don’t bounce over the side! Kids love to be outdoors. If they’re not old enough for their first bicycle, you can start them off with a trike. If they’re old enough for their first bike, they’re probably going to be very wobbly until they ride it, so you should buy them a bike with stabilisers. It’s a magical moment when they discover they can ride without them! Parents should have a camera at the ready! Treat a child in the UK to any one of these and you’ll see their faces light up. Fun times definitely ahead for them and for the parents. Perfect gifts. We need to keep them away from the computer. It’s been a while since I bought any sort of Toy. One main thing before I decided on toy. Did it have more then one use. Makes perfect sense, Dora. Thanks for stopping by. I love all these gifts, especially Legos and action figures (or dolls if you happen to be a non thrill-seeking female). Legos are so great for the imagination. Your little friend seems to agree. I think even adults could do with playing with Legos from time to time!